What is considered a good life in contemporary societies? Can we measure well-being and happiness? Reflecting a global interest on the topics of well-being, happiness, and the good life in the face of the multiple failures of millennial capitalism,Images of Public Wealth or the Anatomy of Well-Being in Indigenous Amazonia deliberately appropriates a concept developed by classical economists to understand wealth accumulation in capitalist societies in order to denaturalize it and assess its applicability in non-capitalist kin-based societies. 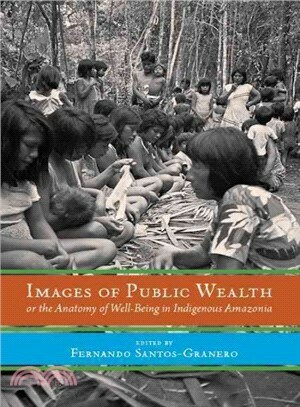 Mindful of the widespread discontent generated by the ongoing economic crisis in postindustrial societies as well as the renewed attempts by social scientists to measure more effectively what we consider to be “development” and “economic success,” the contributors to this volume contend that the study of public wealth in indigenous Amazonia provides not only an exceptional opportunity to apprehend native notions of wealth, poverty, and the good life, but also to engage in a critical revision of capitalist constructions of living well. Through ethnographic analysis and thought-provoking new approaches to contemporary and historical cases, the book’s contributors reveal how indigenous views of wealth—based on the abundance of intangibles such as vitality, good health, biopower, and convivial relations—are linked to the creation of strong, productive, and moral individuals and collectivities, differing substantially from those in capitalist societies more inclined toward the avid accumulation and consumption of material goods. Fernando Santos-Granero is a senior scientist at the Smithsonian Tropical Research Institute in Panama. He is the author of several books, includingVital Enemies: Slavery, Predation, and the Amerindian Political Economy of Life.